Plastmaterial: Impact resistant, UV-stabilized polypropylene. Halogen free. 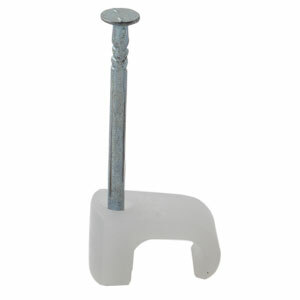 Nail: Hardened steel nails, mechanically zinc plated (10mu) Corrosion Class C4. 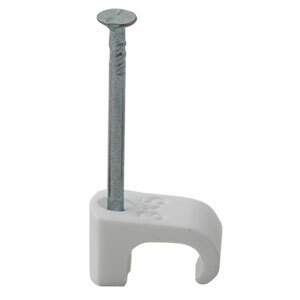 For use in most materials. 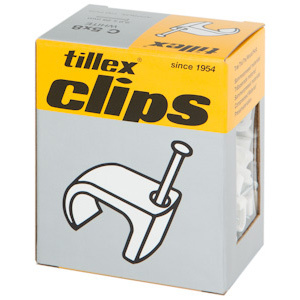 In plasterboard, concrete, lightweight concrete and brick use it together with Tillex plugs for cable clips. 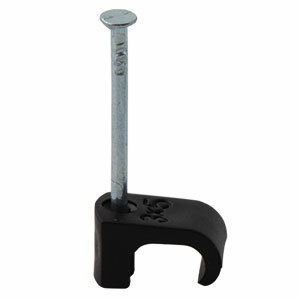 Nail: Corrosion class C4 provides a high level of outdoor protection.